After a nasty cold, and very little desire to do anything, I was finally able to sit and draw yesterday. It had been awhile, with the Christmas chaos and all, since I had allowed myself to just create. 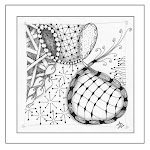 With music on and pen to paper, I was quickly reminded just how nourishing it is to be disciplined about my creative time, especially Zentangle. It reminds me of taking vitamins. Especially Vitamin D in the winter. 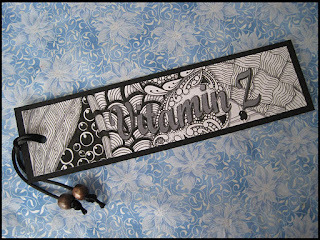 Below is a bookmark I created to remind myself to also take some Vitamin "Z" every day. Happy New Year to all. May it be a healthy and happy 2012! Click here if you'd like to learn how to get some Vitamin "Z" this winter!